Some mages are not fighters, rather they are summoners. What does this mean you may ask? 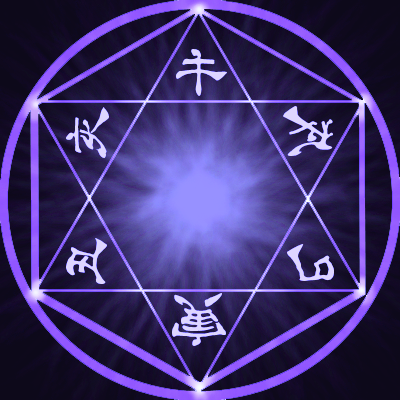 Summoning is an art involving a sort of space and time magic which brings forth all manner of beings to the summoner's position. These can includes things like demons, angels, elementals, dead beings, animals, or anything else you can come up with in your mind. From any time period, past, present, or future, and from any place either on Earthland or perhaps beyond. That's where the space and time parts come in. There are two forms of summons; Infinite Summons and True Summons. Infinite summons are summons that you can summon multiple times, while you may only summon True Summons once per topic. The trade off is that True Summons are stronger. Summoning, however, follows a few different rules from regular magics. Magic: When you are creating a summoning magic it must be focused around a theme. This means you must choose specific beings that you can summon based around that theme. Some examples of themes would be things such as the undead, spirits, historical warriors, angels, samurai, or anything else you believe would work. This choice is completely up to you, but there are some themes such as dragon summoning that will be denied. Spells: Instead of your standard spell template that you use for regular spells, summoning spells have a different template. The spells that your summons use follow the normal template, but your actual summoning spells follow a special template that will be shown further down. Size: Summons can only be a certain, maximum size in order to prevent gigantic monsters trampling through entire towns. Remember, the bigger they are the easier they are to see and hit. Stats: There are four stats that your summon must have. Strength, durability, speed, and magic. Strength is how strong your summon is physically, or how hard they can strike with their own hands or perhaps a weapon they wield. Durability is how many spells your summon can take directly before being defeated and dispelled. Speed is how fast your summon is able to move. And magic is how much mana your summon has. These stats follow a number system of 0-3. For Infinite Summons they receive 5 stat points at ranks D-A and 4 stat points at ranks S-X. True Summons receive 7 Stat points at ranks D-A and 6 Stats points at ranks S-X. To have any stat be at X rank you must devote three full points into it even at X rank. This does cut down though considering your stats will be S rank. Mana follows a different system. For magic, this determines their mana pool. This is always half of the rank base MP. So if the summon was a C-rank and it has a magic rating of 2, it would have 100 mana seeing as that is half of the C rank standard mana of 200. Zero: This particular stat is two ranks below the summon. One: The particular stat is one rank below the summon. Two: This particular stat is equal rank to the summon. Three: This particular stat is one rank above the summon's rank. Name: What is the name of your summon? Rank: What is the rank of your summon? Mana Cost: How much mana does this summon cost? Infinite Summons require 5 Mana for every post they are summoned past the initial, while True Summons are 10 mana for every post. Summon Type: Is this summon a True Summon or an Infinite Summon? Description: This is a description of your summon. Much like a spell description it should be detailed so as to avoid confusion.